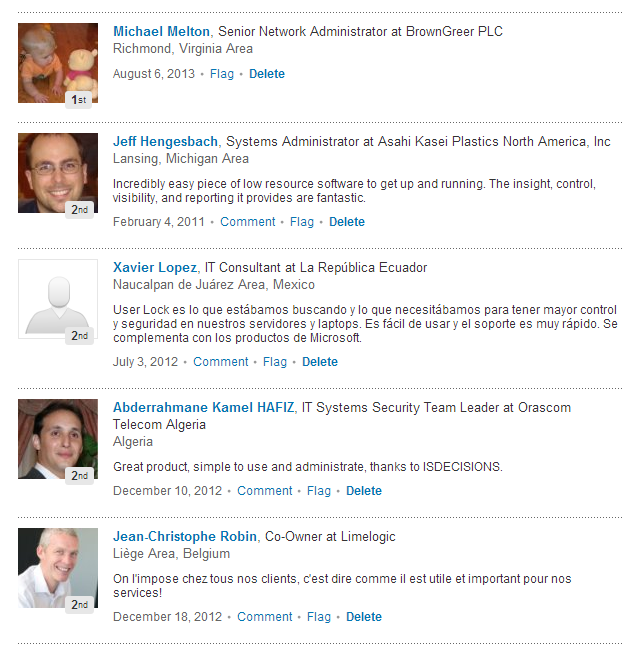 When your researching and assessing solutions for the security of your Microsoft Windows and/or Active Directory infrastructure, we know your looking for honest, “tell it like it is” feedback. 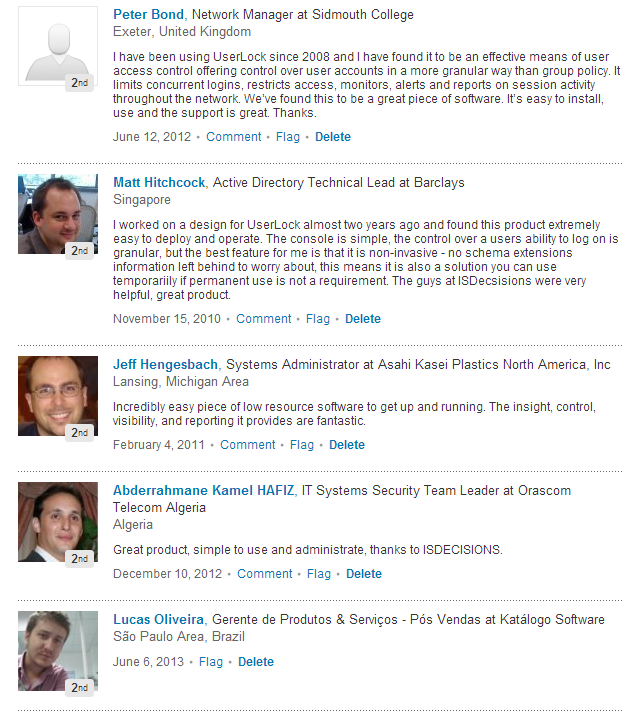 With the news that from April 14th, LinkedIn will discontinue the Products & Services tab and with it the accompanying product recommendations, we thought this would be therefore a great time to underline some of the recommendations on UserLock from our Company Page that have helped other IT Security Professionals when assessing how to secure their internal Windows network. 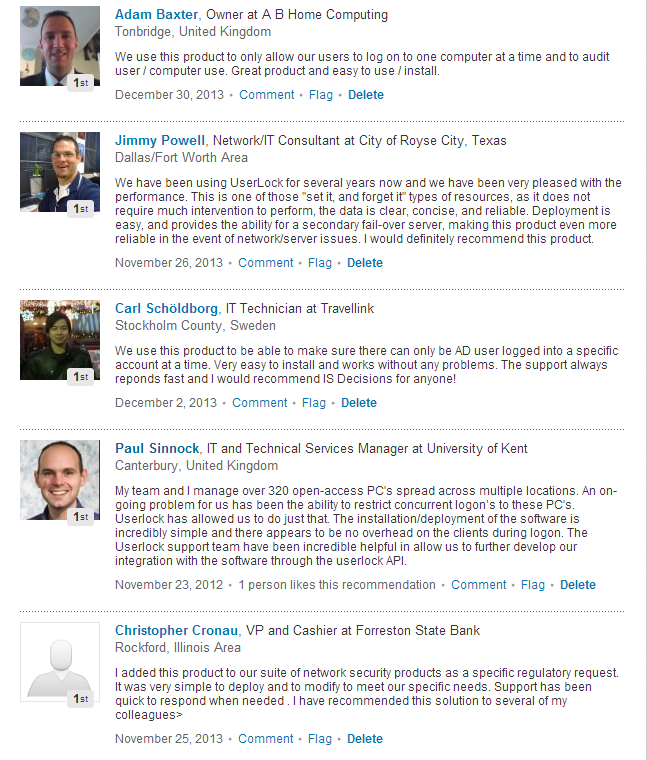 If you would like to feedback your experience with UserLock or share your ideas on how to enhance our software solutions, then come and visit us on LinkedIn, SlideShare, Spiceworks or Twitter.